Manet: What Color Is This Dress? 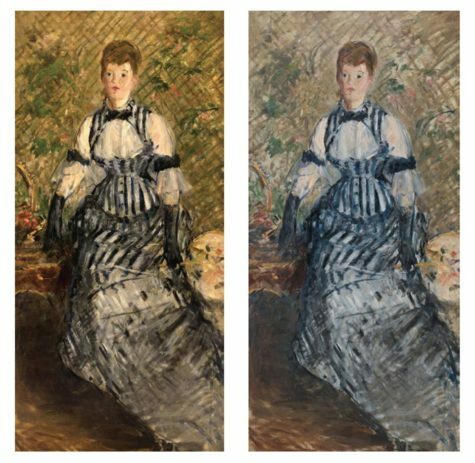 A freshly-cleaned fashion statement by Édouard Manet has gone back on view at the Solomon R. Guggenheim Museum in New York today (29 June) for the summer, after three years of research and restoration. The free and expressive brushstrokes and bright colors of Woman in Striped Dress (around 1877-80), a full-length portrait of an unidentified model—and of the dress itself—were hidden under two layers of discolored varnish.